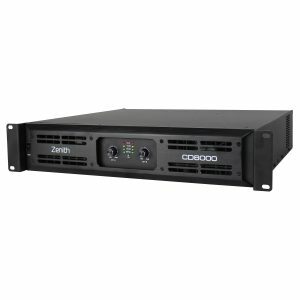 The CD series feature high output power, outstanding sound quality and superior stability for a wide range of installed sound systems as well as portable live sound applications. Available in two and four channel versions and with an RMS wattage of up to 8000W this series feature class D technology in a compact 2U package. Automatic clip limiting along with high efficiency tunnel cooling and DC fans ensure reliability time after time.